The polarization of this movie is interesting, in that half the population seems crazy about it, while the other half seems completely unimpressed by it, some of which is probably attributable to the fact that people are going crazy over it in the first place. And for that, I blame whoever is responsible for trying to make this movie so appealing in the first place. 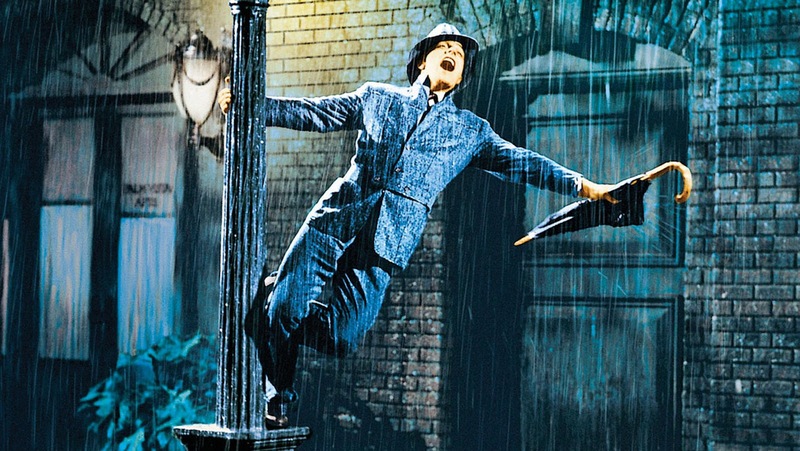 Classic musicals, like Singin' in the Rain and An American in Paris, after which this movie is clearly modeled, are pretty divisive themselves. Many loves them, while many others hate musicals on their face. That's fine. There's a genre out there for everyone. What I think went wrong in this movie, however, was the attempt to appeal to everyone, even those who don't classify themselves as fans of musicals. 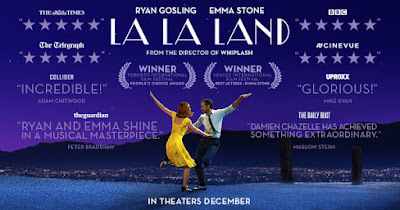 Here, they created a throwback to a classic musical, but tried to modernize it by setting it in the current time, lessen the amount of musical and dance numbers, and starred popular actors, Emma Stone and Ryan Gosling. But here's the thing: neither of them can really sing or dance. They're not terrible, of course, though Gosling sings in such a quiet, muffled voice you wonder if he's trying to cover up the fact that he can't really sing. (Though frankly, his acting here wasn't much better. I'm not sure he could have showed less personality and charm than he did. And I'm one of those people who adores Ryan Gosling.) And by limiting the amount of songs, it feels less like a full fledged musical and more like a whimsical romance that happens to have some singing in it. There are two big dance numbers, one at the beginning and one at the end, but the rest of the movie feels rather like an ordinary romance-drama. The story itself is perfectly fine, and in fact, preferable to the "musical" parts, which is why the second half of the movie is a lot more engaging than the first half, as it finally dives into the relationship and more complex issues of the plot. But it also leaves the movie feeling disjointed, as the whimsy of the movie comes to an abrupt stop, only to appear again at the close. It's as if someone simply mashed two movies with similar plots together into one movie. 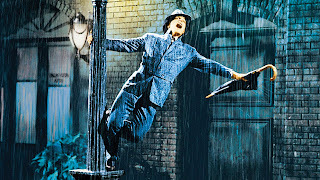 By trying to make the movie both a serious relationship drama and a dreamy musical, it achieved neither. I wrote recently about the integrity of the movie Arrival and how it seemed not to care if anyone liked it. This movie felt like it wanted everyone to like it, which is what made so many people not. If you're going to do a big musical, do a big musical. 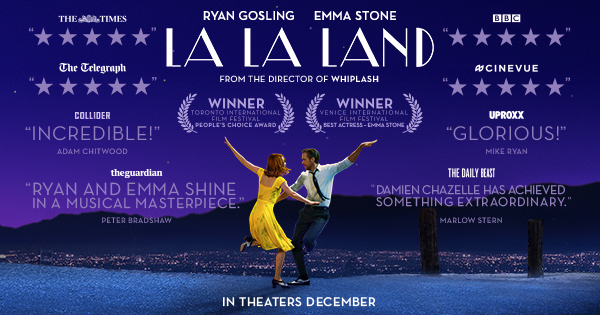 Make the big dance sequences, put a lot of songs in, and staff it with the best damn singers and dancers you can find, neither of which include Emma Stone and Ryan Gosling. Then, people like me won't spend the entire movie wondering how much better it would have been had it starred Ewan McGregor and Amanda Seyfried. Final word: Just a very gray version of what was promised. P.S. Someone on Twitter tried to say Emma & Ryan were the new Kate & Leo. Don't ever make this comparison again. I'm serious.